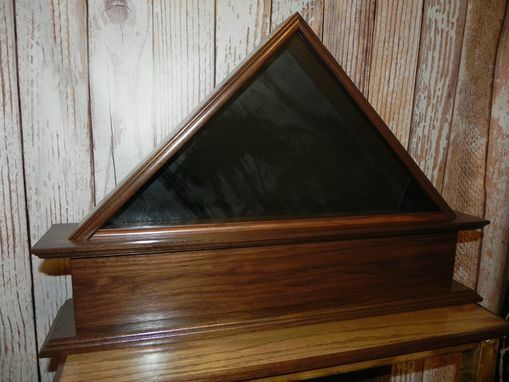 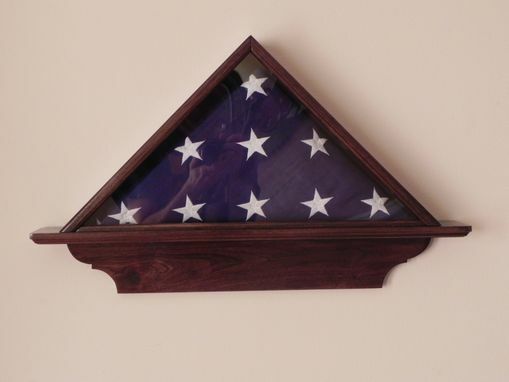 These are custom flag cases built to fit standard sized USA flags for military retirees. 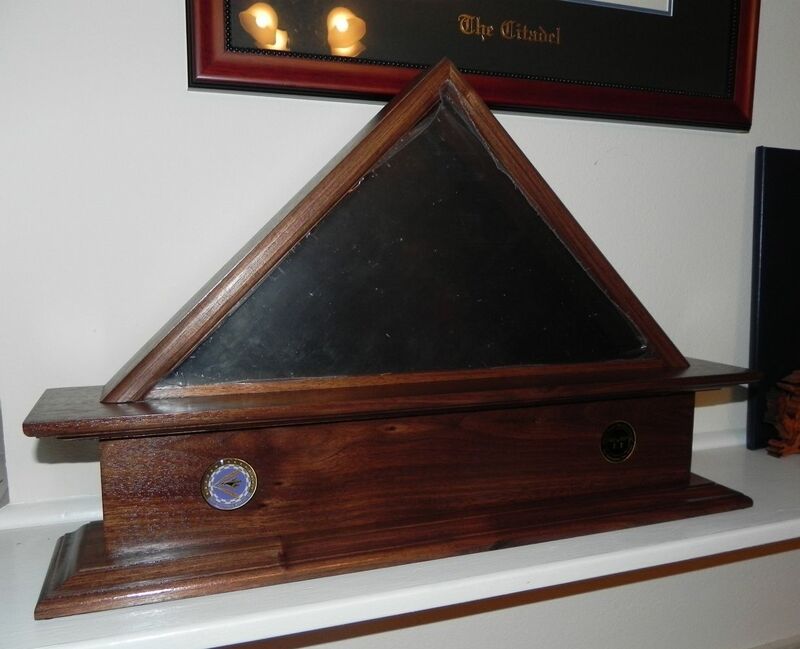 Extended bases allow for the addition of a metal plate, etching, challenge coins or other objects of interest. 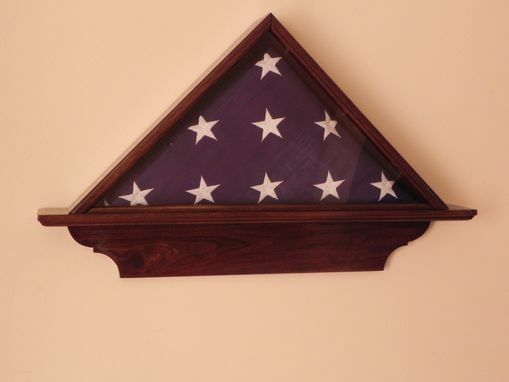 The backs are removable from the rear to allow easy flag placement and can be fitted for wall mounting.